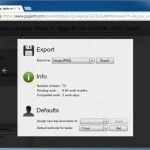 There are numerous methods by which you can create project timelines and roadmaps. 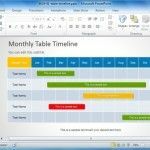 The most convenient method is to use PowerPoint Timeline Templates or an add-in like Office Timeline. However, for the ease of making and sharing roadmaps online, one can opt for relevant web services. 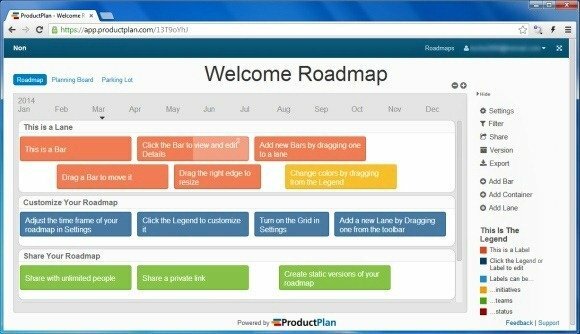 ProductPlan is a web service for making and sharing project plans and roadmaps. With the help of this web app you can create project timelines with the aid of various different bars for highlighting various aspects of your project roadmaps, such as to mark the start, end and major milestones of a project. You can get started with ProductPlan by signing up for a 30-day trial. The sign up process is quite hassle free and requires no credit card information to start your free trial. Once logged in, you will be provided with a step by step guide to help you create your project roadmap. 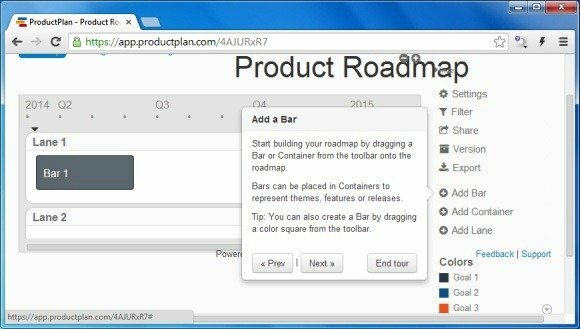 Basically, you will require dragging a bar or container from the toolbar to your roadmap. The below image shows a sample roadmap. The options on the right hand side menu allow you to filter, share, export and edit your roadmap, as well as to enable creating a version of the roadmap for sharing purposes. This version can help you take a snapshot of the roadmap in a point in time, so that you may be able to periodically share the progress of your project or go back to previous snapshots for reference. 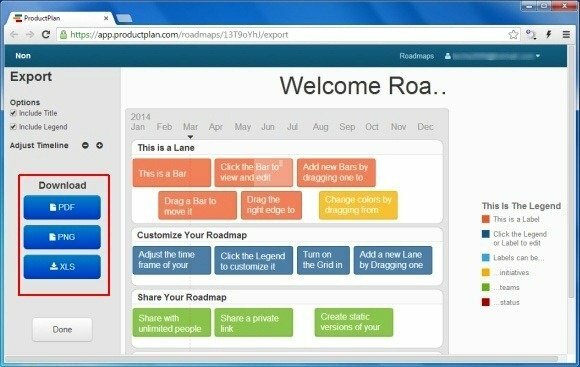 After your roadmap is complete you can edit, delete or share it with other users via email and direct link. Furthermore, you can also export your roadmap offline in PDF, XLS (Microsoft Excel) or PNG (image) format. 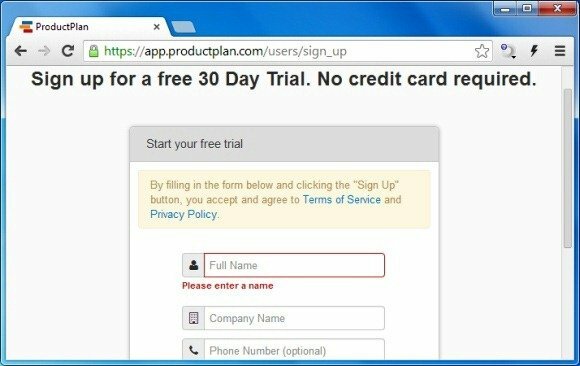 To try out ProductPlan for yourself, head over to the developer’s website and sign up for a 30-day free trial.